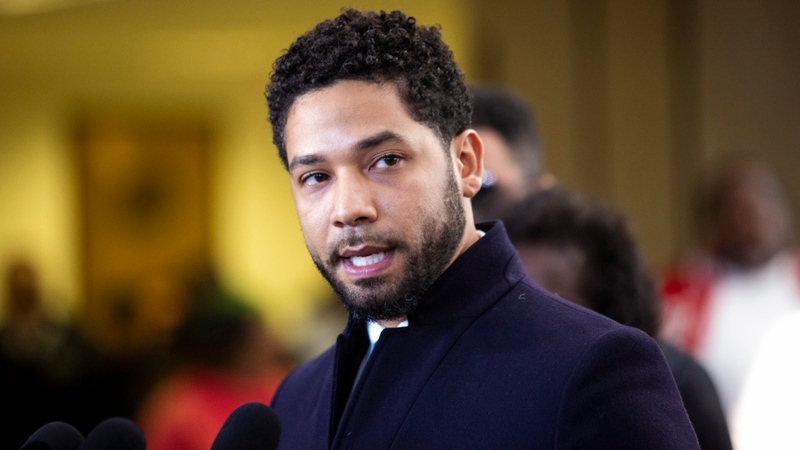 CHICAGO -- Infuriating Chicago's mayor and police chief, prosecutors abruptly dropped all charges against Jussie Smollett on Tuesday after the "Empire" actor accused of faking a racist, anti-gay attack on himself agreed to let the city keep his US$10,000 in bail. But he maintained his innocence and insisted he was attacked. He reported that he was assaulted on his way home from a sandwich shop. Smollett said two masked men shouted racial and anti-gay slurs, poured bleach on him, beat him and looped a rope around his neck. He claimed they shouted, "This is MAGA country" -- a reference to President Donald Trump's "Make America Great Again" campaign slogan. He asserted that he could see one of the men was white because he could see the skin around his eyes.